Nintendo may be set to perform a crossover of a duo of their iconic brands, according to a rumour circulated by Paul Gale Network. It is unclear as to whether this is a concept proposal, or the actual project that Retro Studios have been currently developing. The rumour in question is ridiculously detailed, although should be taken exactly as it is – a rumour. Here we go. 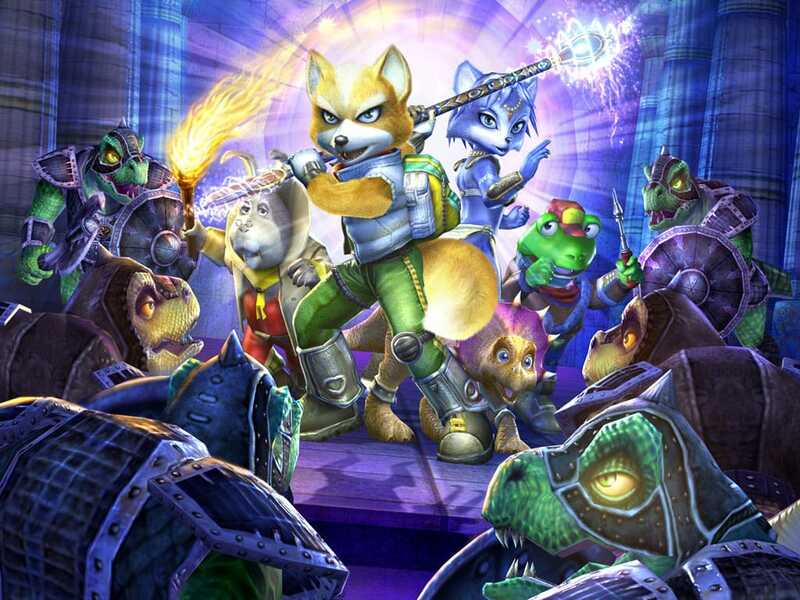 Its story sees Star Fox on a deep space mission, during which they collide with Samus’ ship. Such narrative continues with the bounty hunter falling to the surface of a near planet. During such moment, the Wii U touch screen correlates to the on-screen (TV) cockpit, allowing the player to look around and touch various buttons as they prepare themselves for impact. Stripped of her armour and abilities, this forms the first-person portion of the game, as you traverse the surface of the unknown planet, and will be familiar to fans of the Metroid Prime Trilogy. Meanwhile, the Star Fox stages will be familiar to those of said series: humorous chatter and intense space combat mixed between all-range and on-rails battles. Each narrative branch is independent of each other, with the player choosing which to pursue. Four-player co-operative was considered, although this has now been replaced by leaderboards and a versus-based multiplayer mode. Hi there and thank you for sharing your interest in Retro Studios’ rumored Wii U title in development, Star Fox – Metroid: Fusion Saga. When I shared this information on Paul Gale Network, I was sure to call it a RUMOR and just that for now. Without having concrete evidence as to whether this game is real and currently in development or was simply pitched around to various people at Retro Studios and Nintendo to be eventually dropped, it’s safest to just remain cautious. I would recommend people to remain optimistic in the company’s ability to deliver on such a game if it’s indeed real, as Retro Studios has proven in the past to be a very competent company. But I’d also suggest everyone to not necessarily take this as 100% truth. With exclusive reveals that I’ve shared in the past (with the most recent being PlayStation All-Stars Battle Royale), when I knew it to be legitimate, I guaranteed its authenticity, 100%. In this case, please know that it’s still an unconfirmed rumor. If I learn anything new prior to E3, I will be sure to share it…permitted I can. Thank you again for your feedback. Many thanks for offering further comment regarding the rumour. With E3 now a mere few weeks away it’s always intriguing to see what surfaces, and this certainly piqued my interest – thanks for sharing!